Have you ever dreamt of hunting down under? 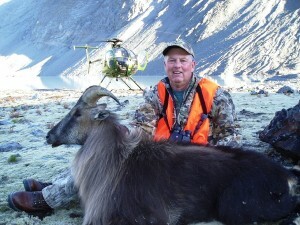 It was my lifelong dream and finally a few years back I hooked up with an outstanding Outfitter, Shane, in New Zealand. The hunting and accommodations are five star all the way. The “lodge” which doubles as the outfitters home, is beautifully decorated and his wife, Vanessa, is a 5-star chef! Whether you are after the magnificent Red Stag, the beautiful and rugged Himalayan Tahr, or the fleet of foot Chamois, they all can be had on this scenic and beautiful island. If you really want to go crazy, they also have hunts for Elk, Fallow Deer, Rusa and Sika Deer, Sambar, Alpine Goat and Pacific Ram. If you want to take a day off there is also Steelhead and Salmon fishing and the lodge is located on the 5th hole of a fantastic golf course! What better way to get away on a nice vacation with your wife or a getaway with some of you best hunting buddies? This truly is a trip of a lifetime!